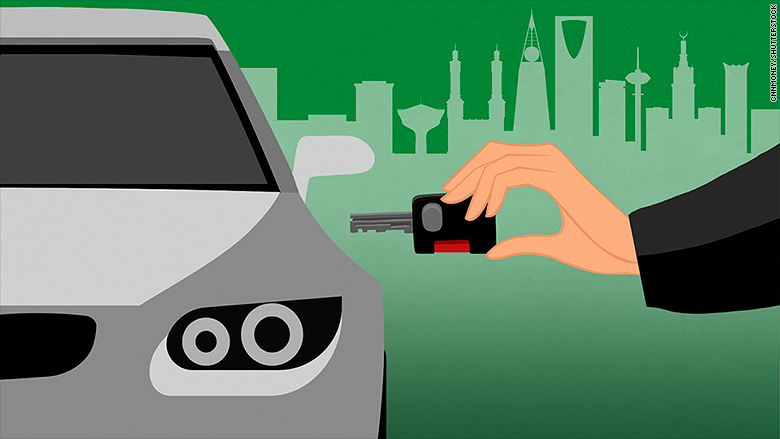 A Saudi prince has raised expectations that the kingdom may soon allow women to drive. Prince Faisal Bin Abdullah, a member of the ruling family and a former Saudi education minister, said in an interview with a privately-owned TV channel this week that he had "no doubt" that women will drive. "Let me tell you about our leadership's view on women," he said. "Never mind driving a car, which is coming no doubt... I want her to drive society." Prince Faisal's interview is the latest sign that Saudi Arabia is preparing to lift the ban, which is based on an interpretation of religious edicts. Another prominent Saudi prince, Alwaleed bin Talal, wrote in a blog in December that women should drive, noting that the ban infringes their rights and hurts the economy because it makes it harder for women to work. Many Saudis used social media to comment on Faisal's interview. The Arabic hashtag "Prince Faisal women driving is coming" was the top trending topic on Twitter in Saudi Arabia on Wednesday. The country has embarked on an ambitious plan to transform its economy by 2030. A key part of the reform effort -- spearheaded by deputy Crown Prince Mohammed bin Salman -- is to increase women's participation in the workforce. Bin Salman so far has taken a more cautious approach to the question of women driving. "Society is still not convinced of women driving and believes it has very negative consequences if women were allowed to drive," he said in April 2016. "This is up to Saudi society. We can't force something it doesn't want." Some in the kingdom say it's only a matter of time, and the ban won't survive much longer. One of them is Hoda Al-Helaissi, a female member of the Shura Council, which advises King Salman on legislation. "It's coming, by the end of the year or early next year," she told CNNMoney in an interview. Not everyone would agree, she said, but "it's about having the option." Al-Helaissi expects the decision would come via a royal decree as happened in 2013 when women were allowed to join the Shura Council for the first time. "There was a lot of talk in the society, social media. Then -- boom -- it happened." Others are not as optimistic. "I'm hearing this since my birth," said one Twitter user. I'm hearing this since my birth. There have been false dawns before. In 2013, a campaign to defy the government ban took off. Dozens of women took to the wheel and posted pictures of them driving on social media. Authorities intervened quickly to stop them.